In today’s society the R-word is used by many. The R-word, “retard,” is slang for mental retardation. It is the word that doctors first used to describe individuals with an intellectual impairment. This word is becoming a problem in today’s world by the way it is being used. It has become a trend to be used in place of stupid or idiot. Instead of being used as a medical term it is used to put down another person. The R-word is turning into something that is offensive and derogatory to a group of individuals. The R-word has become a non-inclusive word that affects so many people all over the world. It’s just the way I talk, I did not mean it like that, or it is just an expression are not excuses that justify the use of this word. “Individual with an intellectual disability” is the way correct to describe a person with a medical impairment. Spread the Word to End the Word is a campaign to help raise awareness about the hurtfulness of the R-word. It is a way for individuals to do their part in creating an inclusive society. 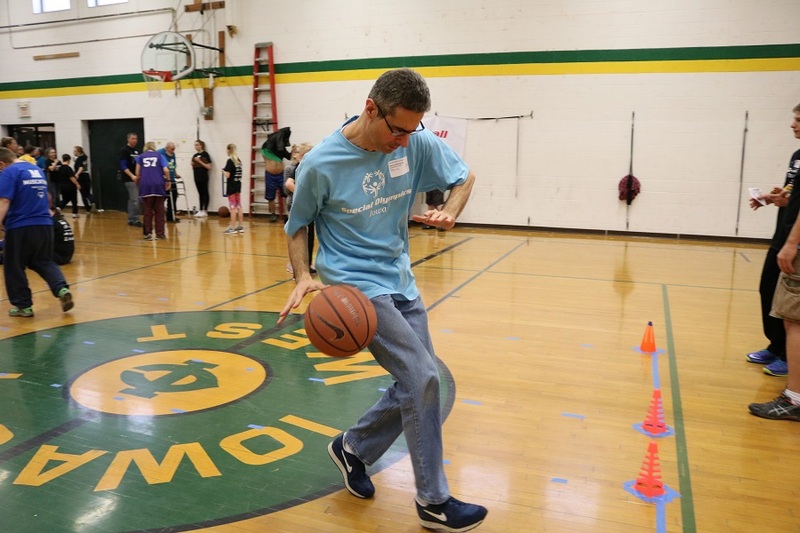 Special Olympics and the Best Buddies partner with the Spread the Word to End the Word campaign in efforts of ending prejudice towards those with intellectual disabilities. Anyone and everyone is able to take this pledge by going to www.r-word.org. Here people can take the pledge, read stories about how words affect our society, and help spread awareness. To date, more than 700,000 people have taken the online pledge while millions have signed petitions, banners and taken oaths around the world to stop hurtful language and banish prejudices. 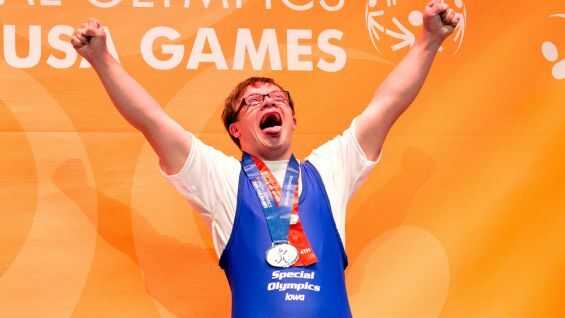 On Thursday, February 15, Special Olympics Iowa and Best Buddies of Iowa will gather at the Iowa State Capitol to encourage lawmakers to participate in the campaign and sign the pledge. 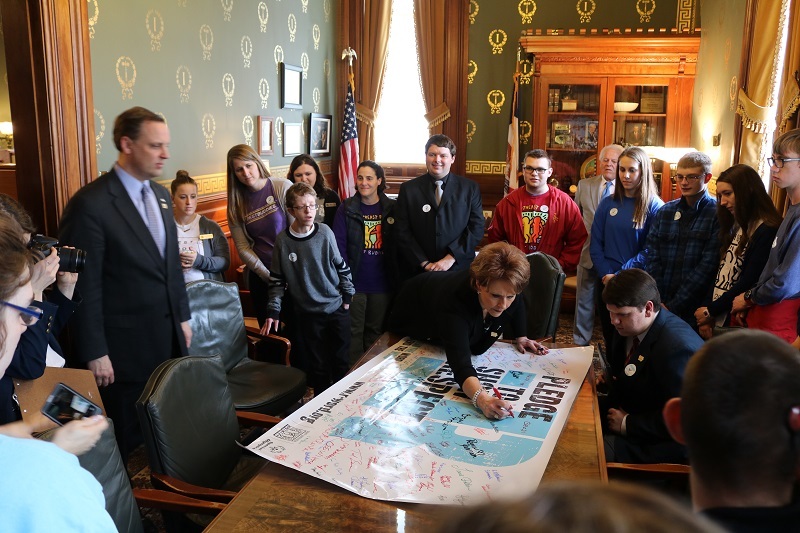 Athletes and Best Buddies members will also be meeting with Governor Reynolds that day to sign a proclamation in support of the group’s efforts.